Wendy has been an esthetician for 25 years. She has worked in spas as well as the dermatology field. She believes health and beauty go hand and hand, and is very passionate about skin care. 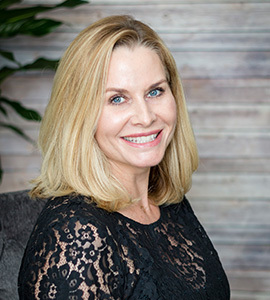 She continues to master the latest treatments through advanced training and education “I give every guest an individualized treatment to achieve superior results, and provide guests with the proper home care regimen.” Complimentary consultations are welcomed. When Wendy is not saving skin, she is spending time with her family, skiing, enjoying time to herself, and traveling. Wendy serves guests on Tuesdays 9:30-4:30, Wednesdays 12-5, Thursdays 11-7, Fridays 9-5 and every other Saturday 9-4.